Beloved by his people, King Roman of Navaria was a benevolent and kind ruler. He treated his people fairly. His council warned him that he should take a wife. They told him that the crown was a heavy burden and required a queen to help carry. Navaria rejoiced when he married Francesca from the little known village of Vorelia. Three children were borne – James (the eldest and first in line for the throne), Edward (the middle child) and the little Princess Charlotte. It seemed bliss for the ruling family until Francesca fled one day, her beaten body found at the bottom of the steep slope in the Rugintov Mountains. Roman had lost his true love and he quickly lost his mind. He married Francesca’s maid servant, ordered the death of his favourite nephew Charles and turned the others away as his kingdom fell to ruin. He descended from the powerful and noble man to an empty vessel. Some claimed the grief had broken an already fragile mind. There were also whispers of a curse placed upon the king. Some even said it was the same curse that caused Francesca to flee and Annabelle to disappear from view, leaving Castle Kroestov in the hands of a heartless Lord Vasinov. 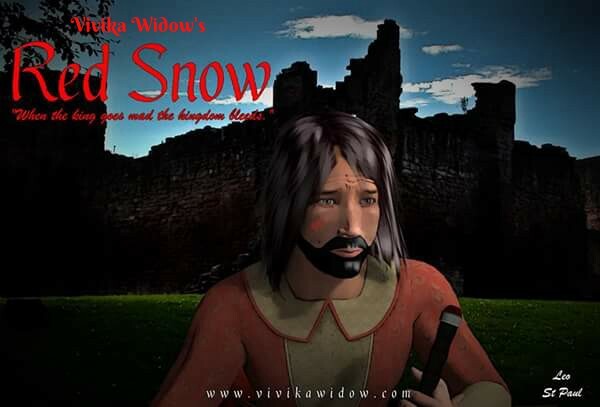 Subscribe to the page for more news, updates and stories fom Vivika Widow’s fairy tale world of Red Snow. For a limited time only DUST AND DEVOTION is available to download for FREE! Torrance Media will match £1 for every download to Ragdolls UK Foundation for girls with Turner’s Syndrome.